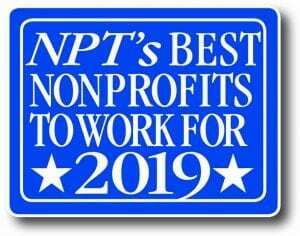 The Nonprofit Times published its Best Nonprofits To Work For List. 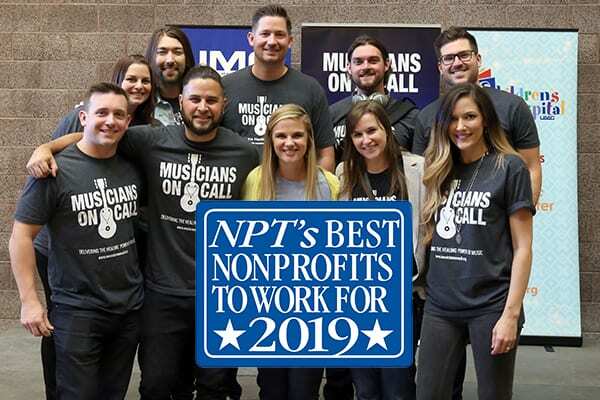 Amongst the over 1.5 million charities across the country, Musicians On Call was recognized nationally as the #6 best nonprofit to work for, and the #3 best small nonprofit to work for! This is HUGE! 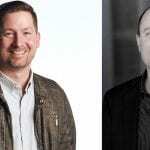 There are two factors that we think makes Musicians On Call one of the best nonprofits to work for – the first is the hard work, dedication, and passion our staff gives day in and day out to deliver the healing power of music. Our team of 17 work with all of you to reach thousands of hospital patients each month. The second factor is all of you. Each volunteer shift, donation, event attended, or merch item purchased has helped us make a big impact with a small team. For that, we would like to thank all of you. Most importantly, we can’t do it without the support of our 600+ Volunteers across the United States, allowing us to fill hospital rooms everywhere with a dose of joy. 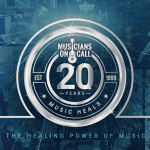 Thank you for helping make Musicians On Call what it has become today! Stay tuned for some exciting announcements about our 20th anniversary events, auctions, and more!